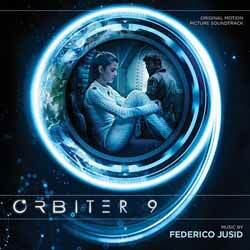 Federico Jusid's (Misconduct) original score for Orbiter 9 (18 tracks - 45 min, 25 sec) represents a wonderfully mellow, atmospheric collection of themes. There are a number of tracks ('News' and 'You Knew all the Time' being the most obvious) where Jusid manages to convey the isolation and claustrophobic realities of living in space. This is a hauntingly rich atmospheric score that hold just enough interest to make it stand on its own feet outside of the movie it was composed for. It won't be to everyone's taste, but I found it to be strangely warm and comforting.